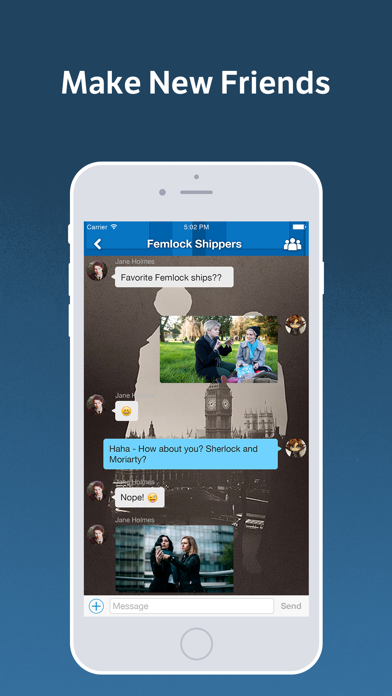 Sherlock Amino is the largest mobile social network for Sherlock fans! - Discuss your favorite episodes, seasons, games, etc. - Discover Sherlock fan art, photos, writing, and cosplay. 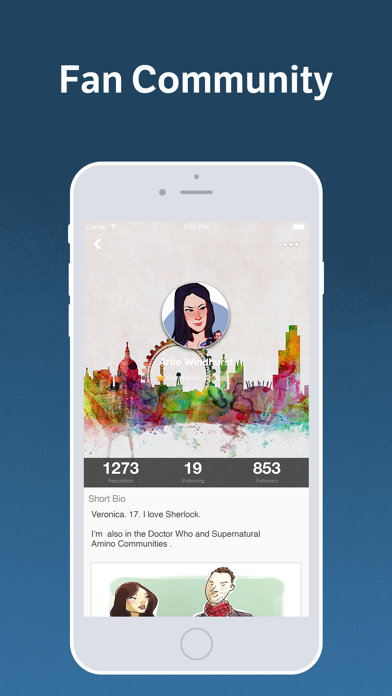 Discover other Sherlock fans nearby and around the world who share your passion for Holmes, Watson, Moriarty, 221B, Cumberbatch, and Moffat. Post and read episode reviews, recaps, fan theories, and join discussions on your favorite Sherlock series. 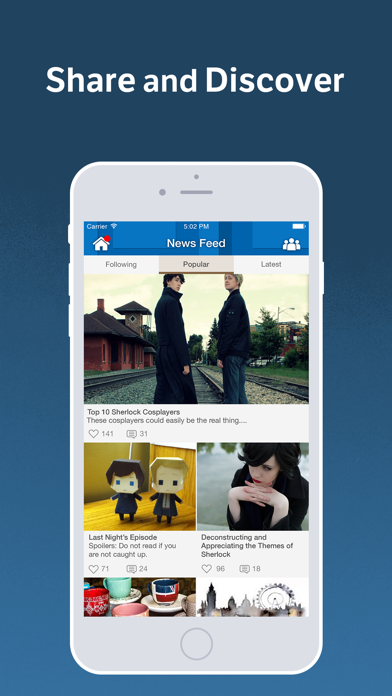 Ask and answer questions on the fly and search for expert answers on everything about Sherlock. If you love Sherlock, London, Detective Inspector Greg Lestrade, Scotland Yard, Baker Street, Sergeant Sally Donovan, Philip Anderson, Jeff Hope, Dr. Robert Frankland, Charles Augustus Magnussen, Jim Moriarty, Benedict Cumberbatch, Martin Freeman, Steven Moffat, Molly Hooper, Johnlock, Christmas Specials, or any other aspect of the Sherlock universe, this is the right community for you!